Textilia offers a variety of workshops from taster adult workshops, to young people's workshops during school holidays and Saturday mornings. I am always happy to accommodate bespoke workshops both in the studio or at private venues. I have portable teaching looms that are ready warped for each workshop. We spend so much time in a fast world, and this applies to school life and our children too. I know how important it is to make sure our children achieve their full potential and as teachers we strive to achieve this every working day! We have very little time for learning a craft, developing a new skill, nurturing a creative flair and I very much see my workshops as a supplement to the brilliant work that is already happening in schools and colleges, often with limited time and resources available in the curriculum. My workshops are very versatile. 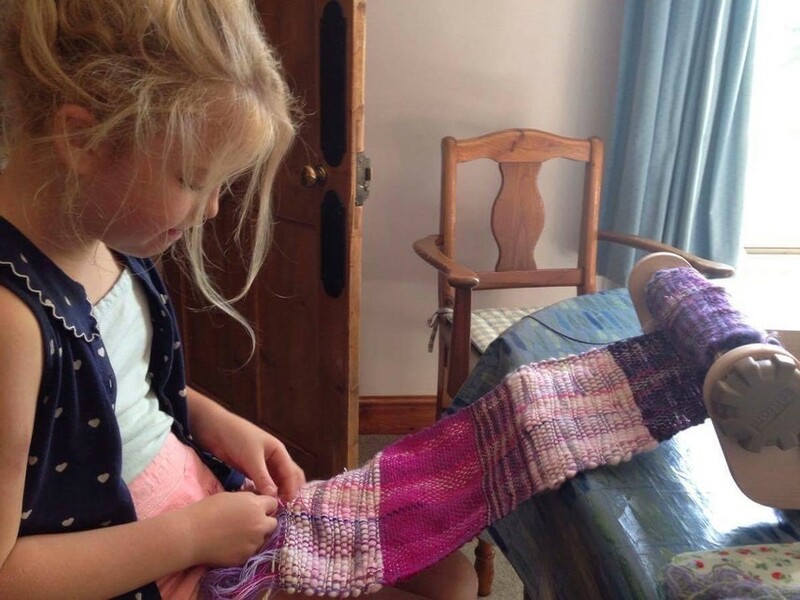 They can take place at my teaching space at Textilia, Lion House, Muspole Street, Norwich. My studio is a calm and bright airy place to work in the heart of Norwich’s textile heritage area. On the other hand, because my teaching looms are so portable and compact I can easily bring my workshops to venues such as youth groups, schools, home teaching groups, art groups, holiday clubs, etc. Also take a look at Annie's Alpaca Yoga Retreat at Burnt Fen in September. Thursday 16th May and Friday 17th May 2019. Thursday 19th September and Friday 20th September 2019. Home made cooked lunch and refreshments included in the price. Please make us aware of any dietary requirements. Basic materials and equipment included in the cost. Additional materials can be purchased on the day. If you wish to bring your own spinning wheel then please feel free to do so. (Please let one of us know if you bring your own wheel). Just click the button below to book. Young People's Easter Pop-Up Workshop. This is a fun workshop for young people of all abilities. We will be weaving and sewing Easter decorations and printing Easter cards and wrapping paper to wrap your Easter gifts in. Venue: Textilia Studio, Lion House , Muspole St. Norwich. Refreshments available during the morning. Age suitable for 8yrs upwards. To book please click the 'Book Here' button to take you to online booking. 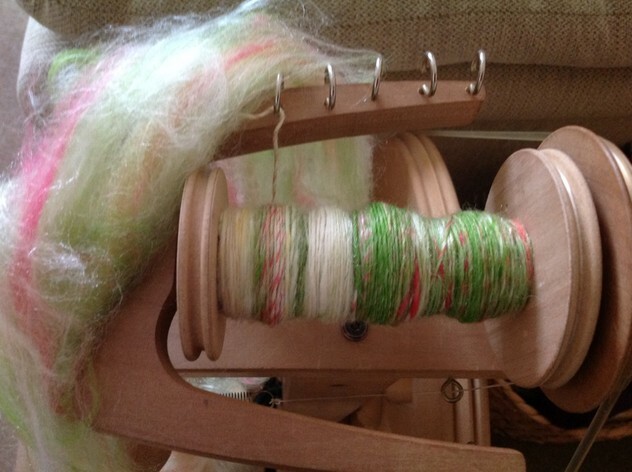 Drop in and Weave or Spin sessions on Fridays. or spin session on Friday mornings starting on January 11th 2019. 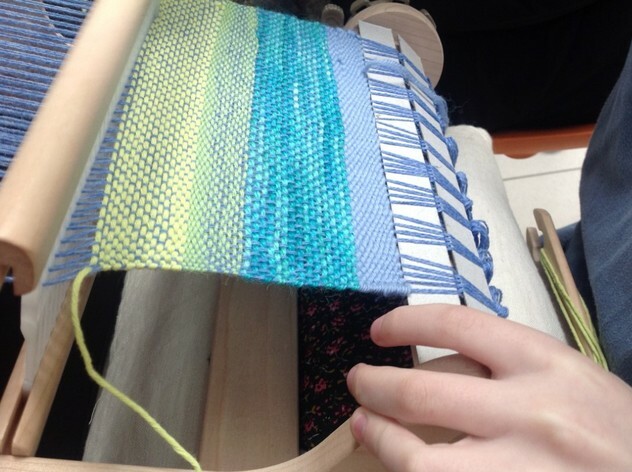 I will be available in Textilia's studio each Friday from 9.30am until 2.30pm, for those folk who are interested in pursuing their interests in weaving and spinning, wanting to develop projects and enjoy the company of like minded people. I am offering a pay as you go system and if you think you might be interested in these sessions please could you drop me an email juliasymonds@hotmail.co.uk? It is preferable to have your own loom, but there is a possibilty of hiring a loom from me although these are quite limited. come and experiment with colour and texture. creating an original piece to take home with you. Prices include all equipment, materials and light refreshments. Gift Vouchers are now available for purchase towards any workshop, one to one tuition or Textilia merchandise. A perfect gift for someone who might enjoy discovering weaving or spinning. Just email Julia : juliasymonds@hotmail.co.uk. 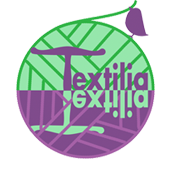 GiftVouchers will be available at any of the craft markets that Textilia will be taking part in during 2019. 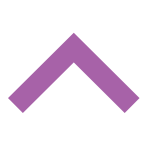 Textilia will protect your privacy and not share your contact details with third parties. just let me know and I will remove your details.